On Thursday 11 July Dr Scott Anthony will give a talk here at the BPMA on the classic film Night Mail which will be accompanied by a screening. In this blog Dr Anthony talks about Night Mail‘s timeless relevance. 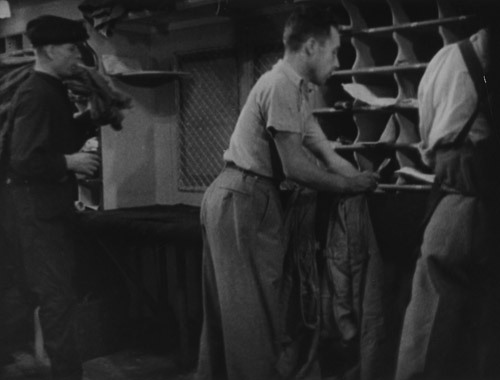 Night Mail – the 1936 cinematic account of the travelling post office, to text by WH Auden – is the most famous film from the GPO documentary unit. It’s as evocative of the 1930s as Battersea Power Station, the Shell Guides and Agatha Christie. For much of the past 20 years Night Mail has also been deeply unfashionable. It’s liable to be seen as the kind of thing that might have starred Harry Enfield’s Mr Chumley Warner. It’s true that, for a documentary, parts of Night Mail are not that realistic. For a start, the scenes of travelling post office workers sorting the mail were filmed on the GPO’s lot in Blackheath with the posties urged, Star Trek style, to sway gently from side to side. Indeed, Night Mail is actually the film of a train set. The GPO had commissioned the exquisite Bassett-Lowke to produce a miniature travelling post office for display at exhibitions. The miniature proved so popular with the public that it then became a documentary. When people say that Night Mail portrays a model post office, they’re more right than they know. However, the genesis of Night Mail – the corporate promo – was far from straightforward, and it began with the future Labour prime minister, Clement Attlee. Pressure was growing for the reform and part-privatisation of the GPO. Besieged by criticism, the then postmaster-general Attlee hired the publicity expert Sir Stephen Tallents to project an image of the GPO as the “outstanding example of collective capitalism”. Previously, the British establishment had frowned on government advertising during peacetime; it was considered something indulged in only by dubious continental regimes. Now, though, state innovations were to be unveiled with dramatic showmanship. During 1934’s Telephone Week speakers were erected in Trafalgar Square to blare out Jack Hylton’s jazz band as they were flown over London in an Imperial Airways plane. Tallents commissioned the artist Macdonald Gill to design a new brand logo for the GPO. The introduction of the speaking clock, telephone chess and Sir Giles Gilbert Scott’s redesign of the Jubilee telephone kiosk followed. 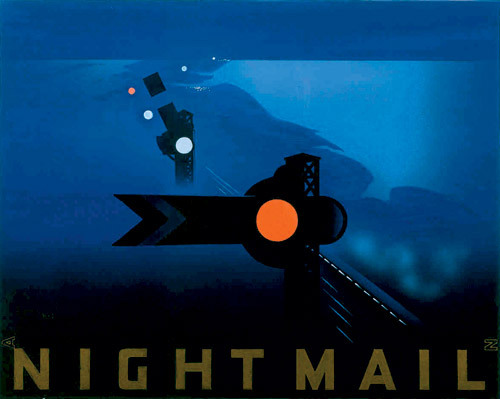 The classic Night Mail poster. Night Mail was part of Tallents’ effort to use emerging new media to promote an up-to-date concept of Britishness. Films such as Night Mail and Humphrey Jennings’ Spare Time are testament to Tallents’ collective method of developing an appropriate identity for Britain’s burgeoning social democracy. But such nostalgic risks reducing Night Mail to the status of a tatty-eared Penguin classic, when those who commissioned, made, starred in and watched the film were confronting some startling contemporary dilemmas. Grappling with public service reform, technological, social and economic change, as well as the growth of internationalism, is a tricky task. Just ask the Communication Workers Union. Or Vince Cable. Visit our website to purchase tickets for Dr Scott Anthony’s talk and the film screening of Night Mail. Night Mail is available on DVD from our online shop. In 1933 Britten became a member of the General Post Office film unit, which was originally set up to produce sponsored films relating to the GPO’s activities. As a result of Britten composing the music for the short films, there was a quick turnaround time and this helped Britten to refine and nurture his compositional tools. The nine short films he worked on – covering subjects ranging from postage stamps to pacifism, the abolition of the slave trade to the electrification of the London-Portsmouth railway – are wonderfully made and fascinating historical documents. 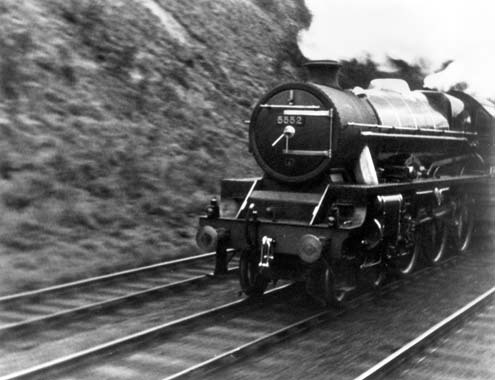 For example, Night Mail is a documentary about a London, Midland and Scottish railway mail train. The rhythm of the poem imitates the stages of the train journey, where the increasing rhythmic pace throughout the poem symbolises the acceleration of the mail train. Britten’s music brilliantly reflects, amplifies and underpins the screen images with scores of rich variety and invention. It is a celebration of composer’s craft and filmmaker’s technique, an insight into 1930s Britain, and a snapshot of the art of propaganda before the term became besmirched forever by the extreme forces of political repression. Aldeburgh Festival will be screening Britten’s nine GPO films in June with a live orchestra in the event Britten Films. Before the screening commences there will be an illustrated discussion, Britten Films: An Exploration, looking at the astonishing artistic collective which was the GPO film unit and how some of Britten’s very first professional commissions were to leave a powerful impression on his future creative life. For more information on the events visit www.aldeburgh.co.uk or phone 01728 687100. The website’s ‘visiting us’ page helps you find out about where to eat, where to stay, and how to find us of course. Tickets can be purchased from the website and through the box office on 01728 687110. The Projection of Britain: A History of the GPO Film Unit is available from the BPMA Shop. Today sees the release of If War Should Come, the third and final deluxe double-disc box set of films from the GPO Unit. Created in 1933 out of the ashes of the Empire Marketing Board Film Unit, the GPO Film Unit was one of the most remarkable creative institutions that Britain has produced. A hotbed of creative energy and talent, it provided a spring board to many of the best-known and critically acclaimed figures in the British Documentary Movement, including John Grierson, Alberto Cavalcanti, Basil Wright and Harry Watt, alongside innovators and experimentalists such as Len Lye and Norman McLaren. Their work embraced public information films, drama-documentary, social reportage, animation, advertising and many points in between. The British Postal Museum & Archive, in partnership with The BFI National Archive, Royal Mail and BT Heritage, has curated and preserved the legendary output of short films produced by the GPO Film Unit. This final volume of three sets covers 1939-1941, the last years of the GPO Film Unit before it evolved into the Crown Film Unit. This period saw it at its most technically sophisticated, with directors such as Humphrey Jennings, Harry Watt and Alberto Cavalcanti leading the way in the use of documentary cinema in support of the war effort. Among the films in this collection are Jennings’ poetic masterpiece Spare Time and the rousing classics Christmas Under Fire and London Can Take It! The discs are presented in a deluxe box with a 68-page bound book containing introductory essays, film notes and selected biographies. PAL Region 2 DVD, designed to be played on Region 2 encoded DVD players. If War Should Come is available now from the BPMA Shop. More information on the GPO Film Unit can be found on our website. The second of three deluxe double-disc box sets presenting all the key films of the GPO Film Unit on DVD for the first time was released on 23rd February 2009. It includes the much loved Night Mail and the experimental animations of Len Lye and Norman McLaren. Created in 1933 out of the ashes of the Empire Marketing Board Film Unit, the GPO Film Unit was one of the most remarkable creative institutions that Britain has produced. A hotbed of creative energy and talent, it provided a springboard to many of the best-known and critically acclaimed figures in the British Documentary Movement, including John Grierson, Alberto Cavalcanti, Basil Wright and Harry Watt. Their work embraced public information films, drama-documentary, social reportage, animation, advertising and many points in between. The British Postal Museum & Archive, in partnership with The BFI National Archive, Royal Mail and BT Heritage, has been working for several years to curate and preserve the work of the GPO Film Unit. Volume One, Addressing the Nation was released last September. Volume Three, If War Should Come, will be released on 13th July 2009. The discs are presented in a deluxe box with a 100-page bound book containing introductory essays, film notes and selected biographies. We Live in Two Worlds is not just important in cinematic terms, but provides a valuable and fascinating insight into 1930s Britain. It is now available from the BPMA Shop. For more information on the GPO Film Unit please see the Screenonline/BT Archive Interactive Derek Jacobi on the GPO Film Unit.